This is a ERIS Eco 5.0 single shelf module giving a storage gap of 125mm when placed on a ERIS Eco 5.0 base or additional shelf module. 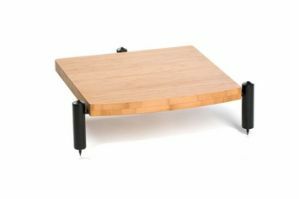 Up to three additional single shelf modules of either 175mm or 125mm leg heights can be added to a base module giving a maximum total of 5 levels of support. This is a ERIS Eco 5.0 single shelf module giving a storage gap of 175mm when placed on a ERIS Eco 5.0 base or additional shelf module. 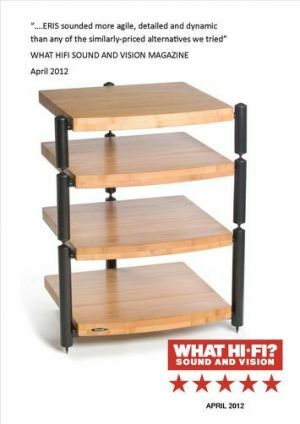 Order this Award winning EQUINOX Hi Fi pack and receive a FREE pack of 4 Atacama solid Brass Isolation cones worth £139.99! Price shown is when standard glass shelving is specified. A.R.C. 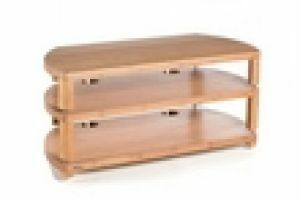 glass shelving is available as a cost option. Combining high performance with practicality and good looks, the multi-award winning Equinox Hifi equipment support offers a flexible approach to Hifi rack design. 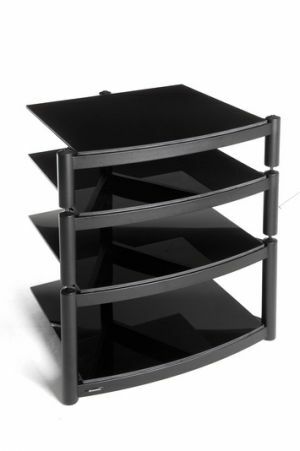 This Equinox Hi Fi four shelf rack consists of a two shelf base module and 2 single shelf modules which offer leg height options of either 130mm or 180mm giving a total of 4 levels of support. 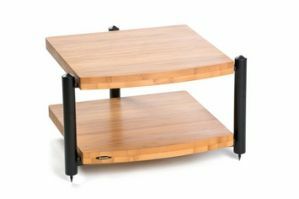 Order this 5 star Award winning ERIS Eco 5.0 pack consisting of a 2 shelf base module and two single shelf modules giving a total of four levels of storage and receive a FREE pack of 4 Atacama solid Brass Isolation cones worth £139.99!Price shown is with Natural Bamboo coloured shelving. 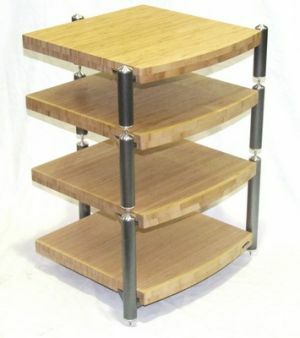 Light Oak or Dark Oak finished Bamboo shelves can be specified as a cost option. 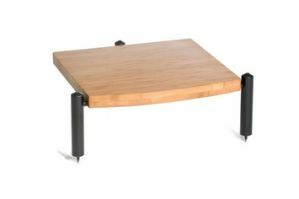 Featuring high density carbonised bamboo resin composite material for the shelving, The ERIS ECO 5.0 SPECIAL EDITION Hi Fi support utilises handmade fully welded powder coated steel frame modules fitted with mini isolation gel pads designed to decouple the framework from the supported bamboo panels.